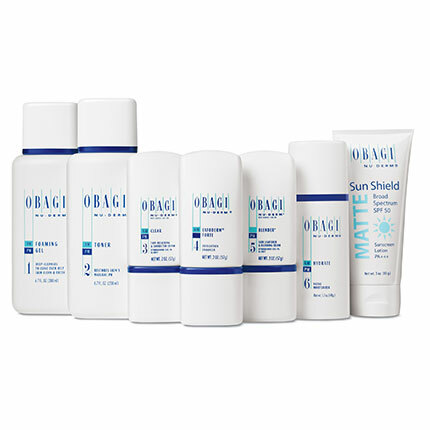 The Obagi Nu-Derm System is made for skin with moderate to severe sun damage; it accelerates cellular turnover and penetrates below the surface of the skin to replace dead and damaged cells with new, healthy ones- redistributing pigmentation, reducing fine lines, and reviving elastin, collagen and blood flow within the skin. The Obagi-C Rx System is a Hydroquinone and Vitamin C based system made for those with mild to moderate sun damage; it works from within to actually restore and enhance the skin’s natural glow. Each of these systems includes a full line of products including skin cleansing solutions, lotions, creams, and sunguards, all designed to be used as a physician-supervised regimen.